Pokhara an enchanting mid- hill valley of Nepal laying on the lap of great Himalayan range. Pristine air, spectacular views of silver like Mountains, serene Lakes and surrounding greenery makes it as a piece of Shangri La. A place with remarkable natural beauty has justify to be a paradise on earth. 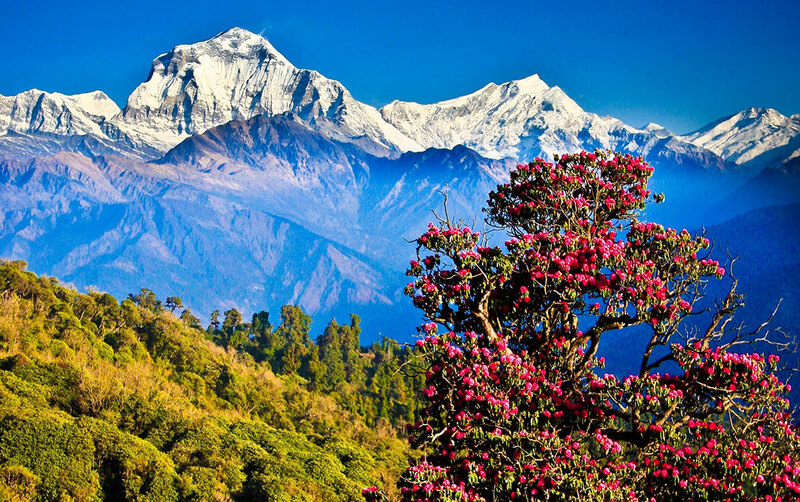 With the magnificent Annapurna range forming the backdrop & the serenity of three major lakes � Fewa, Rupa & Begnas � Pokhara is the ultimate destination for personal relaxation or Family vacation while in Nepal. Pokhara being a gateway to the Annapurna region, where many trekker find their Shangri-la, sits high on the list of 'Must visit� places in the Himalayan Country. Blessed with amazing views of Annapurna range forming on its backdrop & mesmerized by Machhapuchhre also called as Mt. Fishtail dominates the scenery because of its proximity to the valley and can be seen from anywhere in Pokhara. Stretching from east to west, the Annapurna massif includes Annapurna 1 to IV and Annapurna South. Further away are seen the giants, Dhaulagiri (8,167m) and Manaslu (8,163m). These are just a few to name here, but our tribute to those several known/ known Peaks standing like making a silver wall in a stone throwing distance. Apart from this, it has several things to do & see on it's periphery. Ultra Light Flight, Paragliding, Mountain Biking, Boating, Golfing, Pony Riding, Zip Flying, BungyJumping, Rafting, Hiking/ Trekking are few things you can experience in Pokhara.